Whatever the reason, you may be faced with the decision to move away from your family home. Should you sell or should you retain the property and rent it out? 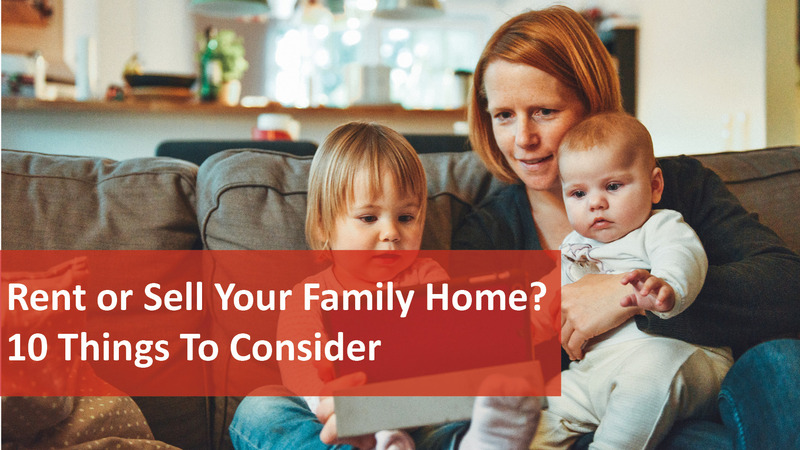 Everyone’s circumstances are different, so there is no one-size-fits-all answer to this question, however here is a list of 10 key considerations to help you make the best decision for you and your family. If you think you’ll have major emotional problems with renting your home out to a stranger, selling the property might be the best option. You must ensure you have the right people in place (e.g. rental agents, accountants, tax advisors, legal advisor, tradespeople etc. ), adequate cash flow to meet all outgoings (it is likely your home will be negatively geared, meaning the rent earned will not cover all property holding and operating costs) and be prepared to discharge your legal and commercial responsibilities. 6. Is the property appropriate for renting?